In case you missed it, Donald Trump had a surprising win in the 2016 election to those that were hypnotized by the main stream media and dominant coastal culture. Although he appears to be making good on his promise to “rightsize” government by a) appointing leaders openly hostile to the bureaucracies that they lead and b) by freezing federal employee hiring….the appointment of Goldman Sachs members to his cabinet isn’t exactly what many constituents heard in his “swamp draining” rhetoric on the campaign trail. He started out rhyming with Bernicrats but now it feels a bit like business as usual in the Beltway Everglades. Sure we’ve seen the pictures of the Trumps with the Clintons, we’ve heard the accusations from partisan left and right, but what we are not discussing are the conflicts within the intelligence community- the ones who seek to disclose for ethical or partisan reasons. I submit that for nearly a year, we have been in the midst of a de facto civil war within the halls of power and the chivalric class (warriors, spies, patriots, and defenders). The outcome of this war may turn on whether the power brokers can engineer just one more win in Latin American country to replace their president with someone more amenable to the anti-Wikileaks faction. So now, to the news at hand… on February 19th, 2017, the Ecuadorian people will elect a new president. If one of the candidates wins, he will ask Julian Assange, the head of Wikileaks, to leave his sanctuary within the Ecuadorian embassy in London. 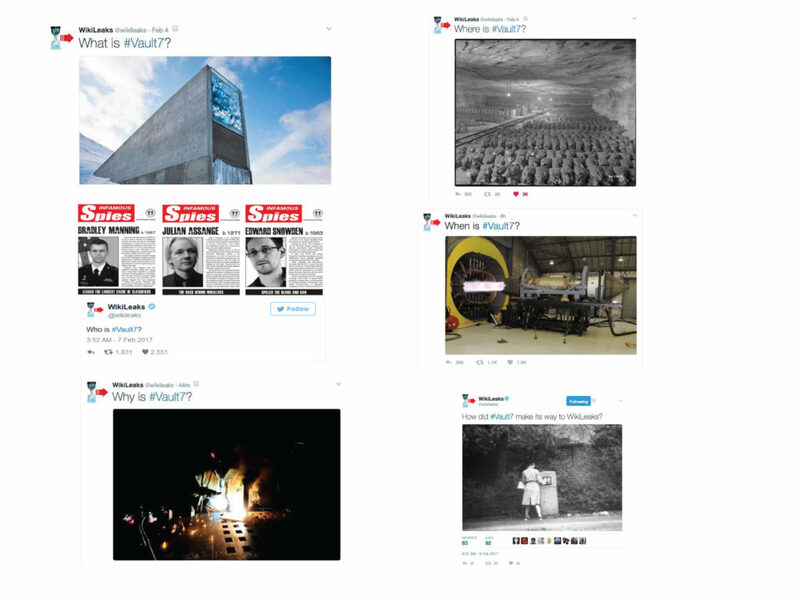 In case you missed it, Wikileaks, beginning Feb 4th, 2017, Tweeted a series of cryptic posts related to “vault 7” which can be interpreted in many different ways. My interpretation is that there is a 7th vault of HRC emails via Huma Abedein that the FBI has from her husband’s (Anthony Weiner) computer that have yet to be released. I believe that this week’s “vault 7” tweets seek to coax the Justice Department to act, provide cover for that action, and obtusely threaten factions who might act against Wikileaks and its leader. This video is pretty far out there and I don’t endorse it, but the current skirmish between Wikileaks and less aligned factions of the intelligence community has the ability to significantly alter our reality. Remember Dec 7th, 1941, JFK in Daley Plaza, and Watergate? If there is any smoke to the fire that the “fake news” or alt-right believes, this could be bigger than all of that. The emperor’s new clothes could really come undone if people start pulling on some currently invisible threads in the redacted email chains. I think that the “whistleblowers” are a sanctioned and sponsored part of the governing system and have allies within intelligence. They are the “Punch and Judy Show” allowing for the appearance of dissent and the back channel dissemination of information. If there really is a seventh email vault from the 650,000 emails found in Anthony Weiner’s “LIFE INSURANCE” folder, it has the potential to create a great deal of entropy within our political and cultural system. Sometimes order emerges from chaos; we just have to make sure that order makes an orderly transition without resorting to fascism or martial law. So, everyone prepare for possible chaos and rearrangement in the next weeks to months and remember that we will all make it through the turmoil if we stick to first principles of truth, justice and the American Way (such as Frank Capra, not J Edgar Hoover, envisioned it). Perhaps there will be a shift in consciousness where people feel that blind faith and lying are not the only viable paths to success. I read a meme that said “conservatism is the new-counter culture” but more accurately, I think we are seeing a core constituency that is so disenfranchised that they no longer are vested in believing in the benevolence of the ruling institutions. 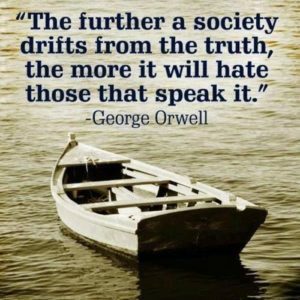 No show trials and pitchforks are needed – let’s just find out how far the rabbit hole really goes. Thank you for this. I find it somewhat unlikely that this entire whistleblower system hinges on just one individual, Assange. I’m just guessing that a covert plan B may exist and be ready to be executed to continue this service if something should happen to Julian Assange. Given the recent proof that US intelligence interfered in recent French elections, it seems likely to me they are interfering in the Ecuadorian elections right now. Agreed. The existence of whistle blowers is an institutionalized part of the system of information dissemination. People don’t just pop up like this and persist without support.